Kikili is not only Sri Lanka In Style's newest member, but also its very first one bedroom bolthole; fresh, fun and fabulous, properties such as this are in short supply. The vibrant personalities of Kikili's owners are reflected in the fun design of the house. It would suit younger couples looking for a relaxing retreat who would also like to take in Galle's plentiful attractions and activities, restaurants and shops. Sri Lanka In Style welcomes Kikili Beach into its exclusive portfolio of properties. 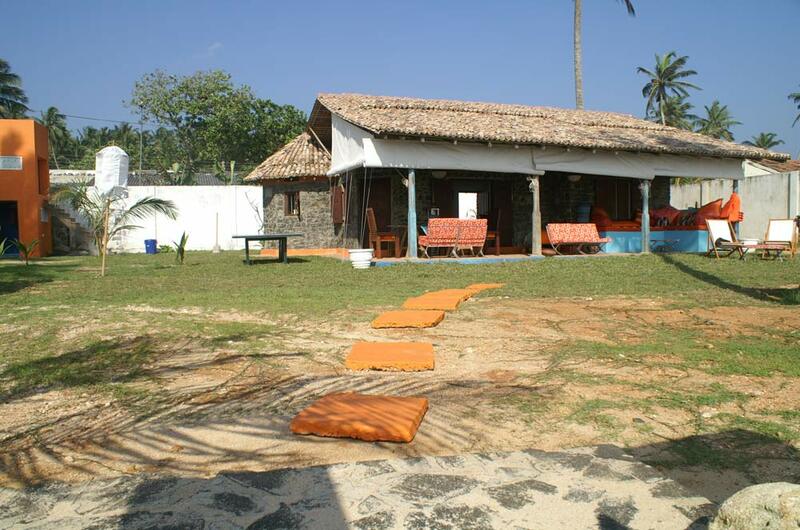 Overlooking a sandy stretch of beach in Dalawella just around the corner from Unawatuna Bay this one bedroom retreat is excellently located for guests to explore the beaches and culture of this southern coastal region, whilst dipping in and out of Galle's vibrant social scene. With an ensuite bedroom, sitting room, kitchen, deep sea view verandah and grassy garden this villa in Sri Lanka might sound small but it certainly doesn't feel it once you are there. There are few villas in Sri Lanka such as this on the market and none that exhibit such a warm personality as Kikili so that on entering through the bright orange gate into a relaxing oasis of squashy cushions, lounge seats and dreamy swing chairs you feel welcomed with open arms. Ideal for honeymooners, for couples seeking an escape and even for families with young children since there’s a pull out mattress available, this Sri Lanka villa is sure to be a bit hit with Sri Lanka In Style customers looking for a highly unique, intimate and private villa in an excellent setting close to Galle. "The vibrant personalities of Kikili's owners are reflected in the fun design of the house", commented Miguel Cunat, CEO of Sri Lanka In Style. "It would suit younger couples looking for a relaxing retreat who would also like to take in Galle's plentiful attractions and activities, restaurants and shops which are all right on Kikili's doorstep". Kikili is unusually constructed from grey granite which makes it even more unique. Aged clay floor tiles topped here and there with rugs and complemented by antiques blend perfectly with this Sri Lankan villa's zingy orange and blue colour scheme. Magazines are scattered about, a CD player enhances the mood, an informative file of flyers and business cards helps you plan your holiday whilst cabinets and shelves full of excellent reading material from novels to autobiographies and cookbooks will have you occupied for hours. Certainly Sri Lanka In Style's newest member property is designed for relaxation. There are plentiful lounging areas in Kikili that provide serene places to soak up the sun or shade including a dreamy swing chair overlooking the sea whilst the gentle presence of a pampering housekeeper is enhanced by his discreet disposition and great cooking skills. Choose from a generous selection of scrumptious dishes or make up your own; either way he will shop and cook for you and make sure you have everything that you might possibly need. Guests can also use the fully equipped kitchen. Sri Lanka In Style is a Sri Lankan based travel design company that specializes in offering travel consultation and services for clients visiting Sri Lanka. Sri Lanka In Style hand-selects Boutique Hotels and Villas in Sri Lanka and offers a full portfolio of concierge style services including chauffeured cars, expert guides and a wealth of local travel advice all designed to ensure that guests can sit back and derive maximum satisfaction from their time whilst in Sri Lanka. Sri Lanka In Style provides interesting alternatives and "out of the box" ideas which provide a conversational currency long after the holiday itself has finished. For further information, refer to "http://www.srilankainstyle.com"
Kikili BeachA relaxing seaside location close to Unawatuna and Galle makes Kikili a heavenly honeymooners escape. Kikili Beach villa in Sri LankaEntering through the bright orange gate into a relaxing oasis of squashy cushions, lounge seats and dreamy swing chairs you feel welcomed with open arms. 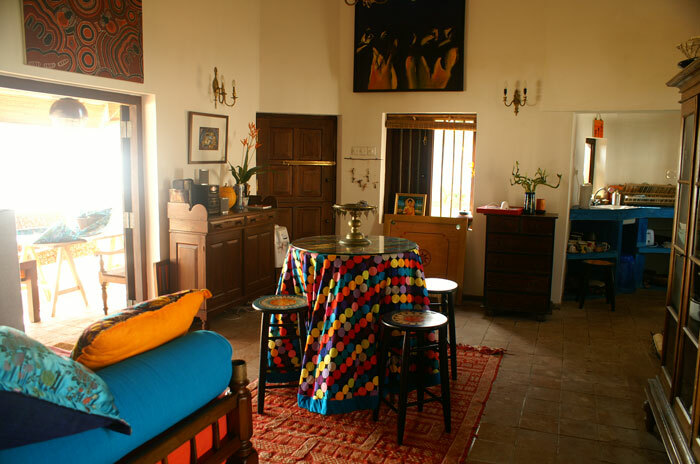 Sri Lankan villa's zingy orange and blue colour schemeWith an ensuite bedroom, sitting room, kitchen, deep sea view verandah and grassy garden.